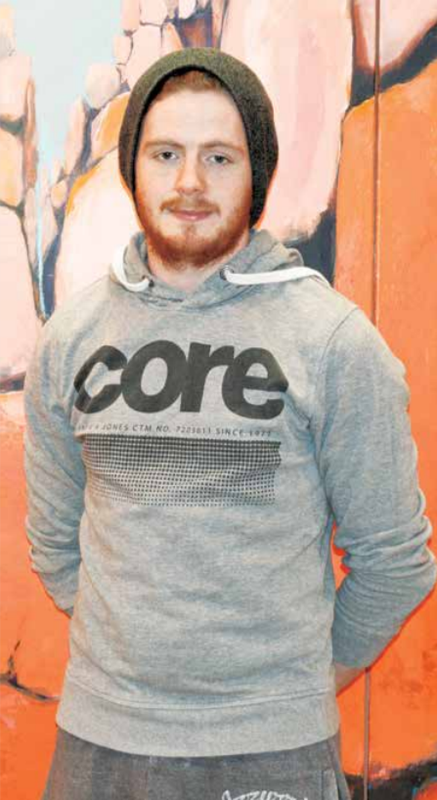 TJ Hogan, a member of the Traveller community, has thrived in higher education with support around his dyslexia. I am a member of the Traveller Community and a person who is challenged by dyslexia. I never would have thought that third level education would be a viable option for me. When I was in primary and secondary school I spent most of my days watching the clock counting down the hours till I finished. I didn’t know what was happening in class as I didn’t have the reading ability, and believed that it was better to do nothing about it. I was ashamed to admit that I wasn’t strong at reading and writing. In school, I was the type of person who didn’t even bring a school bag or even a pen on the best of days to class as I felt it was pointless. Growing up, teachers in school were the only ones who knew that I was a traveller. I didn’t want people to know as I’ve seen first-hand what discrimination of other minorities faced, even by my friends. Education was not something that I thought would be a future option for me due to financial and personal barriers, due to the disabilities I have, and the background in which I came from. A turning point for me was handing in endless CVs just gone 17 years old, and trying to get a job with a poor Leaving Certificate and very little skills besides unskilled labour work which was even very difficult to secure. I started to volunteer within my community with an organisation called Traveller Visibility Group (TVG) and also Foróige traveller youth groups, and community events. Community work was a path I wanted to follow and explore as a future career as it came naturally to me. From that moment on I applied to CIT in an off chance to study Community Development and found myself in college that September. With help from the Access team, supporting me around my dyslexia and the Student Assistance Fund I settled into student life pretty quickly. That year I was rewarded with the Garda Síochana Youth Award for my involvement within my local community. I have achieved academic success since the word go because of the support which I received at CIT. People think that because of the background and barriers they face on a daily basis it stops a person pursuing third level education. I believe the best thing to do is to keep working and moving forward, to make positive changes in your own life for the right reasons, and to choose a course that is right for you. I am a full-time student and also volunteer and work around the clock and it doesn’t feel like work, I enjoy every moment of the time spent within the community. Since I became a student in CIT, I work and volunteer with the Travelling Community and work toward issues such as human rights, education, health and accommodation. I also work with the Education Training Board in Cork supporting travellers with literacy. I work with the Access Service going around to schools sharing my experiences and telling people that education is possible. With a bit of hard work and support, anybody can successfully do well in third level education. With the recent support I have found myself looking forward to the future, setting goals and targets to achieve along the way. My confidence and knowledge have grown immensely and with technology, essay writing and studying is not an issue for me. This has given me the chance to make myself a better person and focus on the career that I have a great passion for. Hopefully I will have great success from the learning and personal development I’ve had as a student at CIT. I am glad that I am in education especially with the way things are in Ireland at the moment, and the fact that my degree is recognised around the world I know that I can always travel and work in communities abroad where I’m needed. For me to be in the position that I am currently in I am privileged and will work towards change with the skills and knowledge I am continuing to learn at CIT.